"Lorne is a warm, kind-hearted man born and raised in rural Saskatchewan. His life has been filled with concern and care for the environment." Lorne is a warm, kind-hearted man born and raised in rural Saskatchewan. His life has been filled with concern and care for the environment but particularly for wildlife. Having grown up on a farm, the out-of-doors was a natural place to spend time. He received his schooling in Indian Head. It was during his eighth grade that his teacher, Mrs. Rose McLaughlin, began to open his mind to the joys of nature. It was the first time he’d experienced a field trip outside the classroom and, it was that year that the subject most remembered was science. “By the end of the school year, I, along with most of the older boys, had pretty well hung up my gopher traps, slingshots and rabbit snares.” From there he moved into building bluebird houses, which he and his dog checked faithfully. In fact, the BLUEBIRD TRAIL has become synonymous with Lorne and has won him national acclaim with one of Canada’s highest honors – the Governor General’s Medal – an extremely proud event for this naturalist and his family. Though this would certainly be the highlight for any Canadian, Lorne has received numerous other awards that have also given him great honour. Each one has been special in it’s own way. Making each concern special is this man’s way of life. How many people do you know would nurse over 100 scaup suffering from botulism back to health? Who would take in and care for the waif creatures Janet Galger drags in for that bit of TLC that might bring them a better life? Who’s name is part of many wildlife circles in Saskatchewan and Canada? The answer for all who know the man is Lorne Scott. Lorne’s heart will always be with nature. Nature is a constant companion for Lorne and his family: gophers in the front yard, a den of coyotes not far away, all varieties of birds and gallons of fresh air. 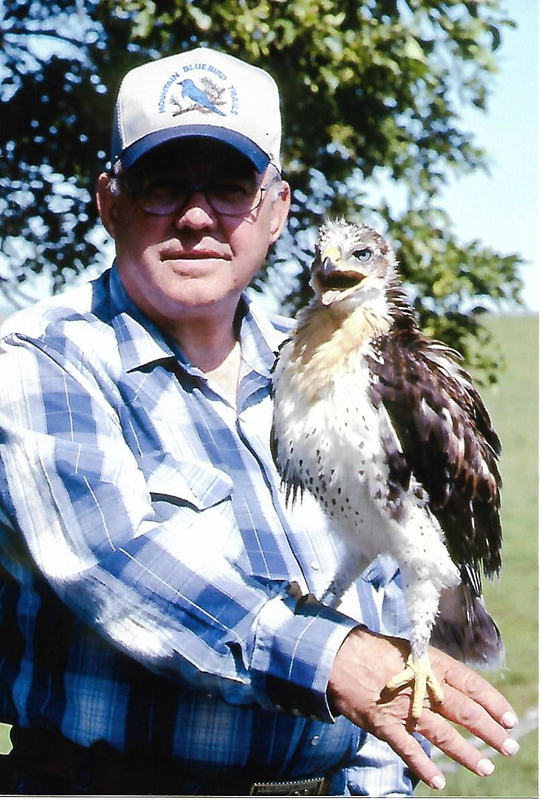 Lorne worked for the Saskatchewan Museum of Natural History from 1967 to 1975 and for the Wascana Centre Authority, where he worked as a park naturalist from 1975 to 1991. He also operates a farm in the Indian Head area. He served as president of the Saskatchewan Wildlife Federation, the Saskatchewan Natural History Society and the Whooping Crane Conservation Association. He was a member of the provincial cabinet, serving as Minister of Saskatchewan Environment and Resource Management from November 22, 1995 until 1999. In 1999, he was named executive director of the Saskatchewan Wildlife Federation. He also served as Saskatchewan chair for the Nature Conservancy of Canada.